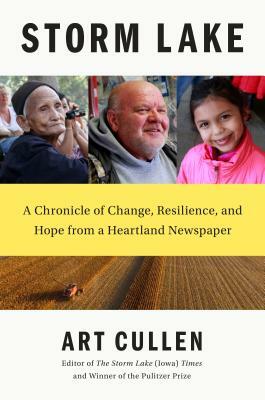 From a Pulitzer-winning newspaperman, an unsentimental ode to America's heartland as seen in small-town Iowa--a story of reinvention and resilience, environmental and economic struggle, and surprising diversity and hope. Storm Lake's people are the book's heart: the family that swam the Mekong River to find Storm Lake; the Latina with a baby who wonders if she'll be deported from the only home she has known; the farmer who watches markets in real time and tries to manage within a relentless agriculture supply chain that seeks efficiency for cheaper pork, prepared foods, and ethanol. Storm Lake may be a community in flux, occasionally in crisis (farming isn't for the faint hearted), but one that's not disappearing--in fact, its population is growing with immigrants from Laos, Mexico, and elsewhere. Thirty languages are now spoken there, and soccer is more popular than football. Iowa plays an outsize role in national politics. Iowa introduced Barack Obama and voted bigly for Donald Trump. Is the state leaning blue, red, or purple in the lead-up to 2020? Is it a bellwether for America? A nostalgic mirage from The Music Man, or a harbinger of America's future? Cullen's answer is complicated and honest--but with optimism and the stubbornness that is still the state's, and his, dominant quality. Art Cullen is half the ownership and 25 percent of the news staff of The Storm Lake Times (founded by his brother John) and winner of the 2017 Pulitzer Prize for Editorial Writing for his editorials taking on corporate agribusiness for fouling the state's water and despoiling its soil. He was profiled by The New York Times, The Washington Post, NPR, Katie Couric and many other places after winning. This is his first book.